Julia Baker-Smith is the Isle of Wight county councillor for Whippingham and Osborne. She was elected in 2013 and became Executive member for Planning and Housing in January 2016. In January 2017, Cllr Baker-Smith was elected as Leader of the Group of Island Independent councillors. Below are some articles that feature Cllr Baker-Smith. 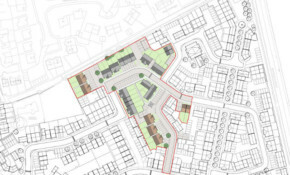 The controversial development of 96-beds - previously branded 'un-neighbourly' - in the Whippingham / East Cowes area received its Isle of Wight council decision last night. After a 'vote of no confidence' in the Isle of Wight CCG by Policy and Scrutiny members, the organisation which plans and funds NHS services say they'll improve and will involve local people. As revealed by OnTheWight back in March, Jay Jayasundara has already been back on the Isle of Wight since the beginning of the year examining the Highways PFI contract he was paid handsomely to create. Between May 2017 and May 2018, the Isle of Wight Council spent £1,526,816 on agency staff across the authority — but particularly within the mental health team, and children’s services. The Isle of Wight Labour Party have 'questioned the wisdom' of Isle of Wight council recruiting more senior managers when, they do not even have the staff to answer calls from residents. The academy sponsor and Department for Education say the school is not viable because of a lack of capacity, but the local councillor believes it is just the latest casualty of under-funding from the Government. The former Indie leader says she's always been a supporter of progressive politics and "opposed to the Conservative Austerity measures that have so badly impacted Island Services". Members of the Scrutiny Committee ask 'Who runs the council?' after being told they can only view floating bridge documents sat in front of a laptop at County Hall (with an estimated reading time of 30 hours).